Want a baby/pet monitor, or security camera but don’t have a webcam handy? If you have an iPhone, there’s a alternative way to use your iPhone as a webcame with some powerful apps. With the help of your iPhone and the supported apps, you can keep track of multiple live video and audio feeds from your house and send it to a Mac, Windows computer, another mobile device, or even to the web. It is possible to easily adjust the resolution of the videos including the ability to get alerts for face detection and audio. 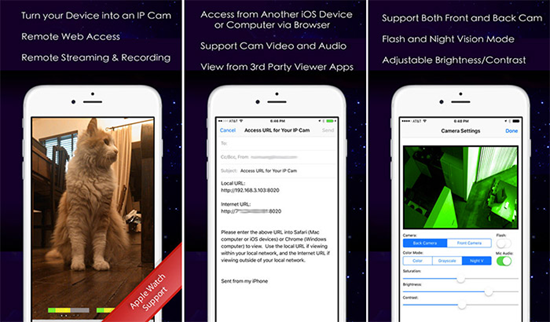 In this article, we will introduce 7 useful apps that enable you to use iPhone as a webcam. Tips: If you lost any precious video from your iPhone camera roll, you can always get them back with Jihosoft iPhone Video Recovery. iVCam is capable of delivering HD videos with low latency. The app provides support for all standard video sizes including 080p, 720p, 480p, and 360p. With the help of the iPhone webcam app, you will be able to configure the audio/video quality including frame rate with support for portrait and landscape modes. The app also includes support for face beautification, flash and video flip and mirror capabilities. 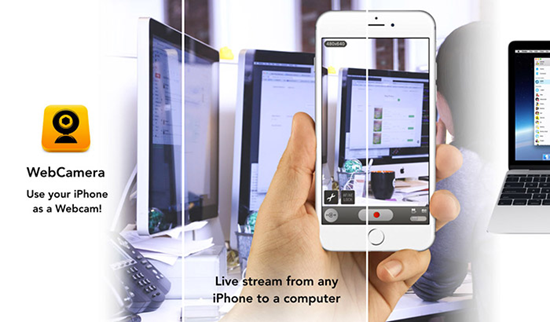 With iCam, you will be able to stream multiple live videos instantly on your iPhone. The webcam app comes with a unique feature to playback and record the motion events; The app also generates alerts and notifications including the ability to back up motion events to the cloud immediately after recording. 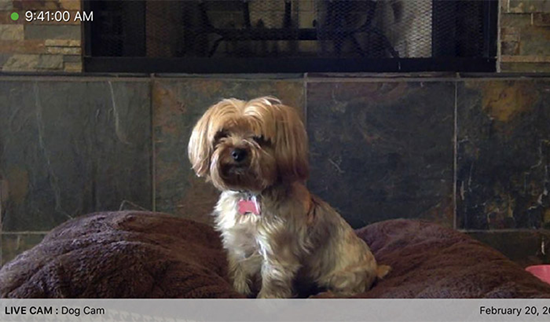 The advantage of the iCam app is its amazing camera quality and low cost of ownership, which helps you easily keep an eye on your pets and house. Instant Webcam provides an ability to stream full-screen videos and audios to a wide range of devices falling under the same Wi-Fi network. The app provides support for 100-millisecond latency and 30 FPS video recording in addition to CD quality AAC audio. You will be able to pick a suitable resolution for the video on your iPhone. It is possible to shoot with rear or front camera to shoot high-quality videos. It is also possible to record and download MPG videos from a browser. The Instant Webcam app is compatible with web browsers such as Chrome, Firefox and Safari. 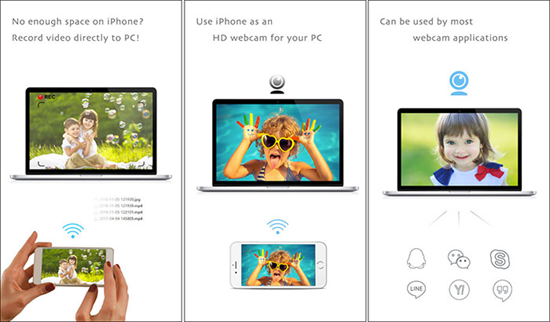 With IP Cam, you can easily capture videos via Wi-Fi on your iPhone, which mean you can use your iPhone as a webcam. You can also record the videos with the help of the app and it is compatible with MJPEG streaming. The app also provides an ability to increase or decrease the brightness, contrast and saturation of your videos. Moreover, the grayscale and night vision mode help you to protect your eyes at night time. Air Cam Live Video helps you to view the live video feed from the external or internal webcam of your computer. You can easily install and configure the webcam including the ability to remotely monitor people and keep track of their activities from your iOS device. After pairing with an external webcam, you can also work with Air Cam Live Video as a premium home surveillance system. The app also provides an option to automatically detects motion, which ultimately triggers video recording. It is possible to control volume and frame rate directly from your iPhone with support for Windows and Mac. 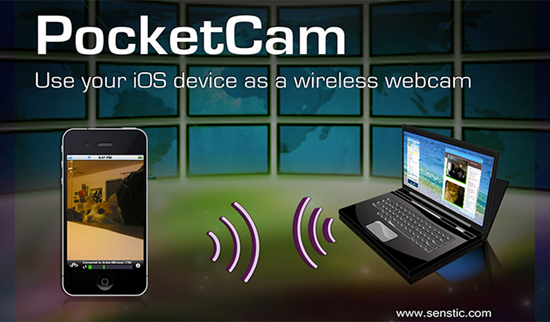 PocketCam tranform your iOS device into a wireless webcam suitable for your Windows PC or Mac. The app is a nifty tool, which does the same work as other competing apps. You can install and configure the app easily. Moreover, the iPhone webcam app provides easy-to-use features with enhanced video quality including support for audio, iMessage and FaceTime. 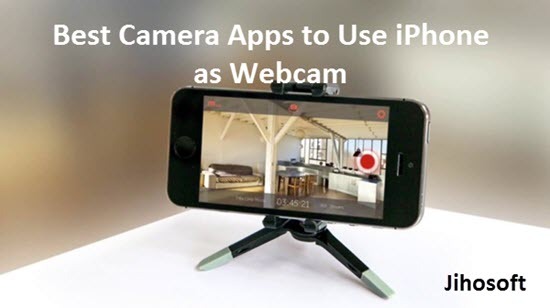 WebCamera is a popular and powerful iPhone webcam app. The app is designed exclusively to carry out the business of changing your iPhone into a webcam. The video quality, latency and modes work very well with this app. You can capture videos in three different resolutions such as 192×144, 480×360, and 640х480 pixels respectively. 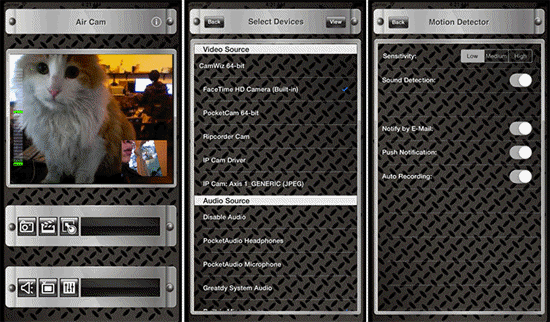 The WebCamera app is fully compatible with popular video editing software such as Boinx TV, CamTwist and Camtasia. The iPhone provides a wide range of possibilities. You can make use of the iPhone as a webcam with the help of apps. The important point to note with regard to all the above apps is that you can shoot high-quality videos with an option to monitor video feeds with minimum effort. Please share which app you used to transform your iPhone into a webcam? We would like to hear from you.